Come and play at one of Melbourne’s premier tennis venues. All the information about the day is listed below. We hope to see you there! 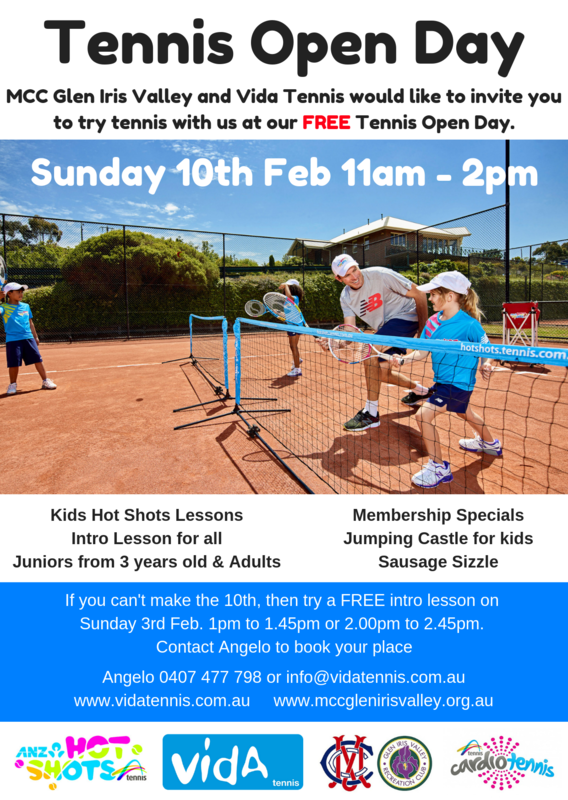 Location: MCC Glen Iris Valley Tennis Club. 260 High Street Road Mt Waverly. Club membership specials on the day.